There is evidence that people even had baby showers in Ancient Egypt, although they were usually held after the baby was born. One of the main events of the party, or really any party, is a nice, big cake. After all, the guest of honor is eating for 2 (or possibly even more)! Because of this, some people go all out when it comes to getting an impressive cake for this special day. 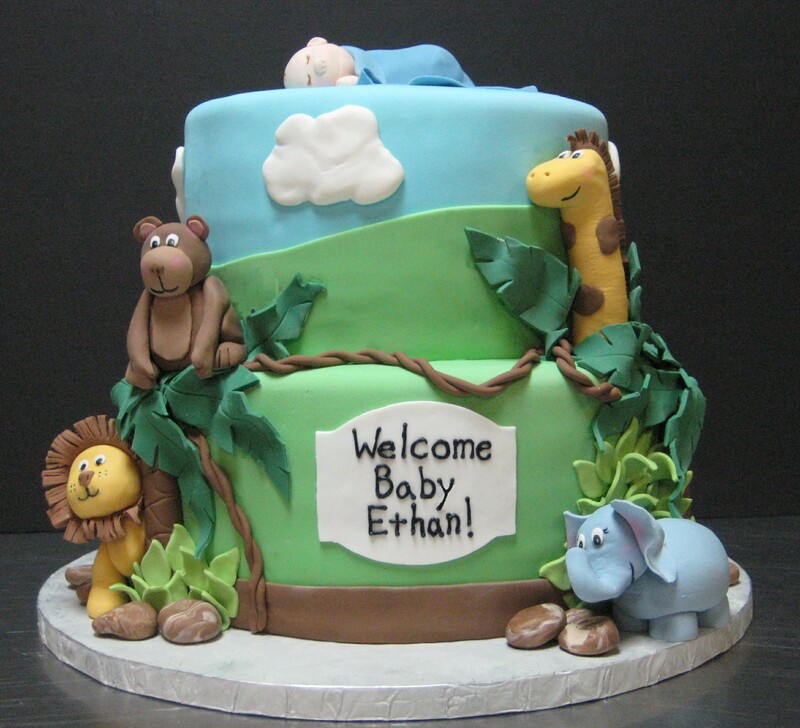 Bright Side knows that cakes can make or break an event so we’re bringing you some of the most beautiful and charming baby shower cakes out there. 1. Somebody is really excited about taking their future baby to the zoo. 2. These baby feet are sweet enough to eat. 3. A perfect cake for your new little star. 4. Even if they are made of fondant, you should keep those baby shoes. 5. This swan princess will be the light of any party. 6. Look closely...somebody’s giving a kick. 7. Hopefully, your new little angel will sleep just as quietly. 8. Gender reveals have never been so classy. 9. The best kind of party is a dinosaur party. 10. Look at these two peas in a pod! 11. Having twice the babies will make every day a carnival. 12. This kid is going to go on a lot of camping trips in the future. 13. These busy bees are getting ready for the special day. 14. Let’s hope your baby-to-be will have nothing but sweet dreams. 15. Remember to tip your storks! 16. This little princess is ready to party. 17. Rainbows just go with everything. 18. Winter is coming and so is the new baby. 19. Children are the greatest gifts of nature, but this cake comes pretty close. 20. Even Mickey’s here for the big event! Do you know any more beautiful baby shower cakes? Share the photos of your cakes with us in the comments!